If I had realized some of the intricate policies of my current company, I may have thought twice before taking this job. For instance, they said you get two weeks’ vacation time. It turns out you get 80 hours of paid time off, but you aren’t eligible to use any of it until after your one-year anniversary. When I do look to move on from this job, I don’t want to be misled again. Is it acceptable to ask for a copy of the employee handbook before accepting a job offer? How likely is it that a company would allow that? Last week we discussed why it’s so important that all the details of your job offer are in writing. (Gotcha! Get job offer concessions in writing!) It’s just as important that you examine all the details of a company’s work policies before you accept any job offer. Whether or not it’s acceptable to ask for a copy of the employee handbook isn’t the question. The question is, what’s smart? Some companies don’t like to hand it over. They will tell you it’s “company confidential.” They’ll say the same about the written employee benefits — you can’t see them until you take the job. That’s complete bunk. How can you agree to live under rules if you don’t know what they are? If they won’t show it to you, your other options are (1) to walk away, (2) to accept the job. In the latter case, there’s something you could do that’s a bit risky. Don’t resign your current job just yet. Attend the new company’s orientation, get the handbook, read it — and then decide if you’re staying, while knowing your old job is safe. How can I push the hiring decision? I hope your next job works out better for you than this one did. Did you ever accept a job only to learn that the rules of employment were not to your liking? What was the outcome? 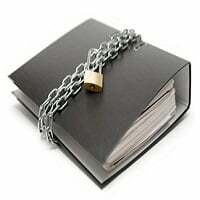 If you’re an employer, do you hide your employee handbook from job applicants? Why? Gotcha! Get job offer concessions in writing! I don’t understand all the secrecy with employers. They don’t want to share salary information for the position but expect you to share yours. They won’t share their policy manual but want you to take the job on faith without knowing the rules. Is this the norm now for all job seekers? How is it that companies think this is the way to do business? I think hiring is part of doing business, and these wacky hiring practices are not good for the business. Nick is absolutely right about this. NEVER accept a job without doing as much due diligence as possible. I’ve been in my new job for 6 months now and I’m very happy! I applied via resume (no long drawn out app asking for all sorts of confidential info BEFORE interviewing). After my first (and only) interview with my manager and his team, I requested the employee handbook and all benefit info. The HR rep answered all my follow up questions promptly. As a matter of fact I submitted a detailed page of questions and everyone was answered to my satisfaction. I had three different companies I was dealing with and my present employer was always (and the only one of the three) forthcoming with info. One actually gave me the BS answer about ‘confidentiality’ as well. The other two companies had more money to offer per se, but I knew I’d be happier with my present employer because of management’s transparency. It’s a small company, which could be a factor. But following Nick’s suggestions helped me to quickly eliminate any company who could not, at minimum, give me the info I needed to make an informed decision. My offer letter also detailed everything negotiated and detailed all benefits as told to me and listed in their employee handbook. And as for filling out the job application, I did that on the first day of the job—-as it should be. 2)Pretty good rule of thumb: bad companies have bad HR folks who BS you, good companies answer all reasonable questions. @Martin: I don’t think there’s any conspiracy, just silliness. HR bureaucracy often imposes “rules” for its own sake. Check ALA’s comment for a sobering discussion of the differences in employer behavior. Good employers behave responsibly. @ALA: Kudos to your new employer for leaving the job application until the end. Fancy that – your “application” was your interaction with management and other employees and was done person-to-person. Great idea to leave the form itself until everything else is decided. This raises a good question: What are applications for, anyway? To gather and file factual information about a person, or to judge a person? Using them to judge someone is a fool’s errand, and a phony part of “the HR process.” Your employer did the hard work personally. Good for them! Employers do this because they can, and because many (most?) can get away with it in a market with talent oversupply–or so they think. 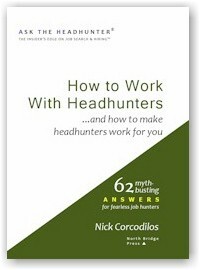 Nick’s technique above will level the playing field for you, and you’ll find out whether the employer is trustworthy. One of the factors in my “offer that wasn’t an offer” some months back–they ‘went in a different direction’ AFTER I negotiated and signed their LOA four days before start–was vacation, mostly 1-2 days together. They permitted other employees multiple religious holidays–not my religion, and I suspected I’d be working on them–but I found out quickly they begrudged me ANY time off. It would have been a short and unpleasant relationship. This is a great topic. I, too, accepted a position with a stated number of weeks vacation only to find out when I applied to take some of the time, that I was not eligible until my 12 month anniversary. Never having encountered something like this before, I would never have thought to ask during the interview or upon receiving a written offer, “So when can I start using my vacation time?” There were other instances where restrictions were placed on benefits and, sadly, the personnel manual, when I did receive it upon starting the job, was ambiguous on several benefits issues. 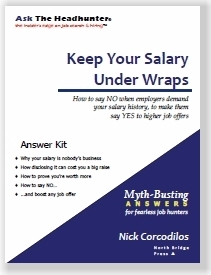 If I had it to do all over again and now being wiser by your comments, Nick, I would ask for a copy of the Personnel manual and study it thoroughly before making an employment decision. The list of petty biases and stereotypes in HR is endless. This is how the ‘talent shortage’ is manufactured. Watch the semantics of the wording. In Massachusetts if you get paid vacation leave, you cannot get it “advanced” to you but have to accrue it. On the other hand they must pay it to you if you leave (state law). So here is the other side. employers sometimes have “unlimited leave”policies, It does not get accrued so it does not fall within this restriction. Good call. I know people who have that. Vacation time is a really tricky thing for employees right now. Some are so afraid to take it, fearing the ‘vacation’ they’ll have if they take it and get fired soon after taking time off! More than a decade ago, HR started using the phrase “Total Rewards” regarding the combination of benefits and direct/indirect compensation paid to employees. You can be assured that when the company does their annual tax filing, everything related to that total compensation mix will be expensed. If HR or the hiring manager won’t reveal the “Total” compensation and how they define the mix of benefits, then they are incompetent or nefariously hiding stuff for a reason. Either way, the lack of transparency should be a clear warning sign. Two important terms used for these other forms of compensation include Paid Time Off (PTO) and Vesting (when retirement benefits belong to you). PTO often includes national holidays and what was formerly known as Sick Days. 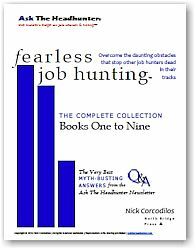 I did have one company offer me the employee manual before being hired–that was in 2007. They were the only one. The others I interviewed with at that time would not discuss benefits at all unless I was one of the contenders for the final interview. The large nonprofit organization I work for would not show our employee handbook to someone not yet employed here. The assumption would be the applicant heard something weird about us and wanted to document it. Sounds paranoid (it is), but I’m wondering how many large, well known companies, especially those involved in major legal actions, might have the same uber suspicious response. Our handbook isn’t outrageous but it is long, complex and full of regulations never enforced. HR = “Hiring Roadblock.” I like that! I completely agree with you about HR’s petty biases. @dlms: I wonder if the company realizes that not showing “the book” til the final round means the company will not make the final round? @Addie: That’s why the handbook should be shared openly – it would push the organization to clean that mess up! I honestly cannot imagine what the top brass tell one another about why this policy document must be kept hidden! I’ve heard it referred to as a “competitive secret!” How competitive can it be if you don’t disclose it during the recruiting process to entice new hires?! @Nick: good, sound advice to get all of this intel up front. Nicer still would be to have this intel re benefits posted clearly on their HR websites so job hunters could read about before deciding to apply. As for having to wait a year before taking vacation time, I didn’t think that was so weird. For the jobs I held that granted me vacation time, in none of them could I take it before my one year anniversary, so I just thought it was normal. Vacation time and sick time had to be accrued, unlike paid holidays (I never had to be there for a year before I got a paid holiday). I did have a boss at my last job who wanted to take vacation time before she had been there for a month, and that got shot down by the administration. Some employers do give you all of the time up front, while others make you accrue it over a year. @Eddie: good point re MA law on vacation time. Another point to remember is that if you don’t take vacation time, or don’t use up all of it/enough of it, it will roll over only for so long, then you start to lose it. A former colleague thinks she has accrued 10 weeks of vacation time, but she can’t get any time off. If she quits, she’ll be compensated for some it, but not for all of it. @Nick, It’s also proprietary –territorial, like wolves –not marking it like they do, but equivalent. Ballot question in MA to mandate accrual of sick leave. 1 hour of sick leave per 30 hours worked, up to 5 days a year. It probably varies from state to state, but most do not consider a resume a legal document, but do consider an application a legal document. I’ve grown weary of the application process that only duplicates what I have meticulously presented in a resume. Even nice people often won’t even “screen” me before I fill out an application. When did the application forms begin instructing applicants to not write “see resume” when coming to the job history part? Twenty years ago? More? At any rate, I’m sure the ‘talent shortage’ is at least partly due to making the hiring process an arduous one. And of course, I’m going to be really, really nice to anyone who allows me to interview sans application. A large part of the ‘talent shortage’ is delegating the initial screening to HR=Hiring Roadblock, and their external equivalent the offshored, English-as-a-second-language (maybe) ‘talent recruiters’ who give the blind, halt and lame a bad name. But they’re CHEAP! @marybeth: Ha. Why isn’t the employee handbook on the company’s website? Silly – I never thought of that. Would someone from HR care to discuss why it wouldn’t be? Because I don’t get it. We publish job descriptions. Why not the policies? @Citizen X: I think this is one of the key points that needs to be pounded at HR again and again. 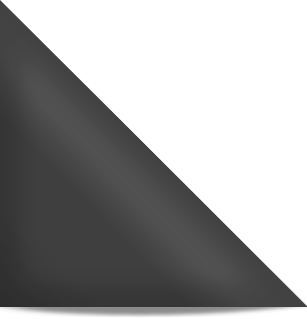 Why does HR need an application before it talks to the applicant? Sure, the answer is: “We don’t know the applicant without something in writing. 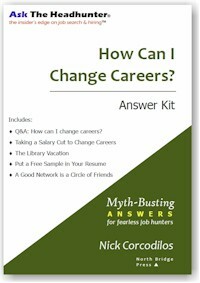 That’s why!” But that begs the same question when the employer recruits the applicant. Fair assumption that the person is recruited because the company knows enough about them to pursue them. Yet HR routinely demands completed application forms even from people it recruits and pursues. So, what’s really going on? I think what’s really going on is that HR doesn’t know what it’s doing, and cannot separate administrivia from interactions with real, live people. And that’s why HR should be removed from recruiting and hiring altogether. Let managers reinvent the process as a business practice. @Carl: love the meaning of “HR” (Hiring Roadblock). Now that is how I will always think of them when I hear the term HR. It is apt because they truly are a Hiring Roadblock. But where is management on this? If they’re not finding good candidates, why not do a self-study or an autopsy on your own practices before blaming the world for the talent shortage? You can’t control external factors, but you can control your own hiring processes. @Marybeth, it is ever so much easier for employer management to cry into their beer about ‘lack of talent’ and leave the spots open (makes you look good to Finance)than to actually DO something about it. The outsourcing to Indian recruiters has permeated every job category save the highest executive levels. And these so-called recruiters simply do not understand English beyond a script. When you’re called on positions which bear no relationship to your background and can barely understand whom you’re speaking with…these companies get what they deserve. Let them fail, if they can’t fix their own hiring practices, it’s their own fault. When places that blew me off/hired no one try to get back to me, I turn my back and say no. If places that treated me well but hired someone else gets back to me, I respond to them. @Nick, I’ll try out this ‘not keep secrets’ thing later this week with an employer who’s recruiting me. They’ve already disclosed a low-ball salary, so I’ll ask if they are hiding super-duper generous benefits to make up for it. Their starting offer is what I made in 1997, so maybe benefits will be a time machine so I can invest that money in 1997 and withdraw it in 2014. I’ve just gotten another short term contract I need to sign in the next week or so, so I may have to go with the place who is actually showing me the money instead, even if it is short-term. This second opportunity is from a friend of an old colleague, and that helps with b.s. minimization. Plain white, plain manila, doesn’t matter. It’s more than enough for a hiring manager to look at and say “Hey, I need someone to eliminate patent trolls, and 16 years is a professional lifetime. I need someone with those skills!” and give you a call. Only HR needs to mow down a forest in order to conduct an interview. People who know what they are doing can conduct an interview across the gas pumps at the local Conoco with a paper towel and a pen. @Dee: I agree–companies are being cheap and short-sighted. And stupid. Hire good people and your company will succeed. Stint on your budget for hiring (give it to HR, turn it over to ATS/computers, outsource it to India and other third parties who have no skin in the game, no reason to care that the best person is hired for the job), and then you’re shocked that you can’t find “good help” or that jobs go unfilled for ages. I do blame HR, but management is also at fault. They are the ones who either turned over the process to HR or who let HR take control. I sympathize with you re dealing with the non-native English language speakers. I, too, have a very hard time understanding Indians. If they can’t speak English well enough, are coming from a different culture, and don’t have a vested interest, then it is hardly shocking that companies who outsource this process have a hard time finding qualified people. I don’t feel sorry for them either. They could change it, but chose not to do it. I don’t disagree with you often, but why does “… you’d be putting your old employer in a bad spot, because then you’d have to leave without providing any meaningful notice” have to do with anything? Put another way, why should the company get any more notice than they are prepared to give? Great advice and I would have never thought of this until now. Definitely important to understand if your values and work ethic will clash with the employer. have bookmarked it and also included your RSS feeds, so when I have time I will be back to read much more, Please do keep up the fantastic b.